Attention, all Pinoy Cahills! 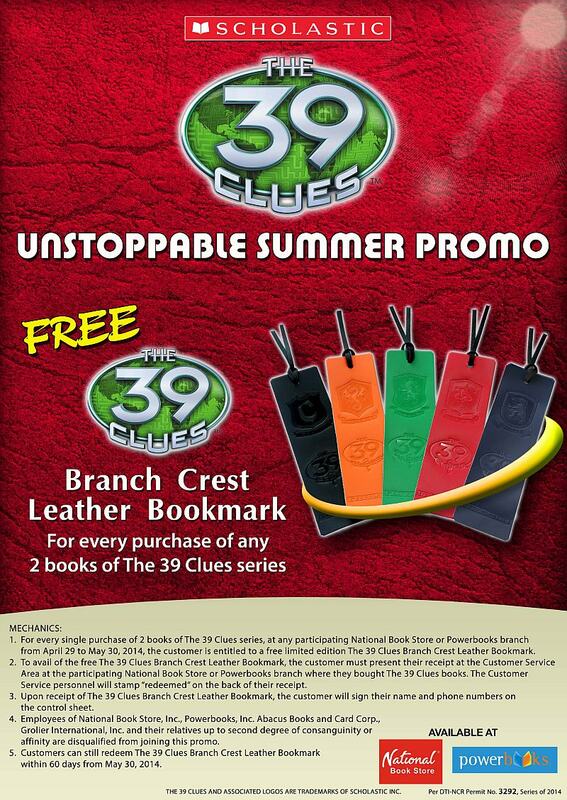 Enjoy the unstoppable heat of the summer season and collect limited edition The 39 Clues Branch Crest Leather Bookmarks only at National Book Store and Powerbooks! Every single purchase of 2 books of The 39 Clues series entitles you to 1 free bookmark! Promo runs from April 29, 2014 to May 30, 2014. Per DTI-NCR Permit No. 3292 Series of 2014. Click on the poster below for more details.